Play, laugh, explore, discover and share this adventure with an extraordinary group of kindred spirits! 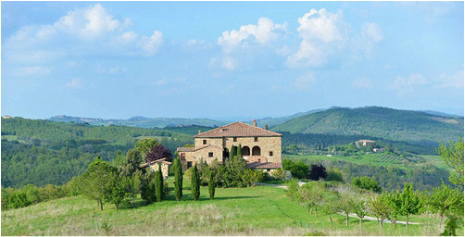 Be enchanted by the true, authentic villa experience of Tuscany, Italy! This is a journey you will never forget! and then the magic begins! Open your flow of love & aliveness. Express the spirit within you and touch this world in the way that only You can. Generate more love, joy and aliveness..
Resolve conflicts and co-create solutions without compromising or manipulating. Clear old programming that keeps you from fully adoring and being adored. From beginning to end, this retreat is an exhilarating and transformational Journey into Love. Register below! Questions? Call Tracie Sage at 541-479-5128. Our villa is situated in an area of Tuscany untouched by tourism. We’ll be surrounded by a wide and peaceful countryside with green hills, vineyards, olive groves, sleepy hamlets and wild gorges, medieval churches as well as vestiges of the ancient Etruscan civilization. A swimming pool onsite and a river nearby provides ample opportunities to refresh and relax. The décor of the villa reflects the surrounding colors of the flora and land and has been meticulously designed to create the must stunning retreat atmosphere. Our on-site yoga shala has a beautiful wood floor and vaulted ceilings or we can practice poolside! You'll have afternoons for sun, fun, swimming and excursions. Our villa is a ten minutes drive from the village of Radicondoli, a quaint authentic Tuscan village, and forty minutes from the famous town of Siena. For the wine and cheese lovers, Montalcino and Pienza are must see towns. If your appetite is more for thermal baths and spas, Bagno Vignoni is lovely. Our hosts recommend a visit to San Galgano Abbey, a mystical place famous for the ‘sword in the rock. Visit this roofless abbey to take in the magic. Excursions to the Terranean Sea and pristine beaches can also be organized if the ocean calls you. The easiest way to reach your retreat is to meet our hosts in Florence for the shuttle service included in your package. Or rent a car to enjoy your own scenic tour and we'll send you directions. Get yourself there and then the magic begins! Start planning now for an experience of a lifetime . . . Refunds are possible if your place is filled and cannot be guaranteed with cancellations after Jan. 1st. $250 of deposit is not refundable. A wild spirit adventurer ready for an experience of a lifetime! Need some Love Coaching sooner?